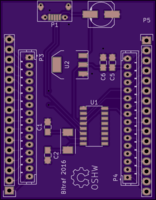 2 layer board of 1.55 x 1.99 inches (39.3 x 50.4 mm). Uploaded: December 20th, 2016 18:55. 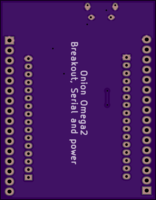 Simple breakout board using the dirt cheap IC’s CH340G ($0.30/each on ebay) for Serial and a AMS1117-3.3 ($0.025/each) for power. Breaks out all pins from 2mm to 2.54mm headers. 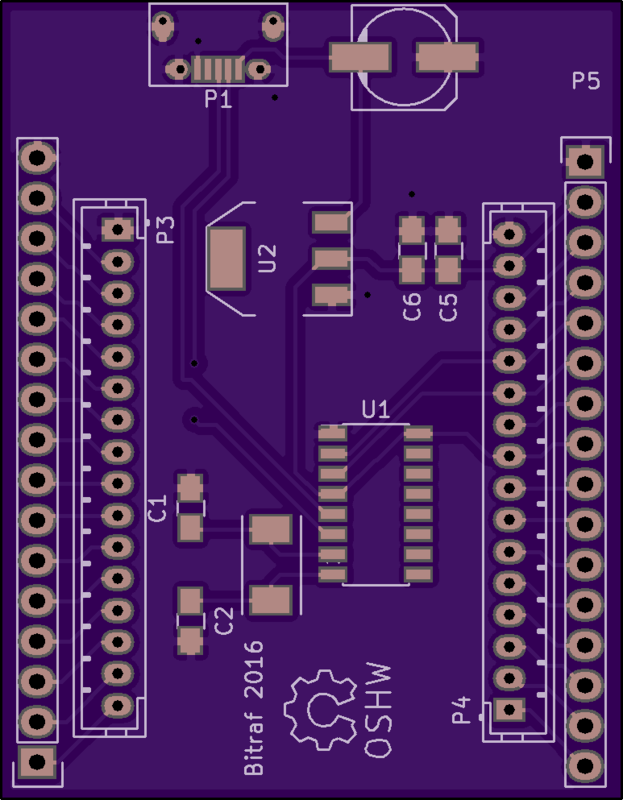 Plugs nicely into two small breadboards for prototyping. Ordered and tested. 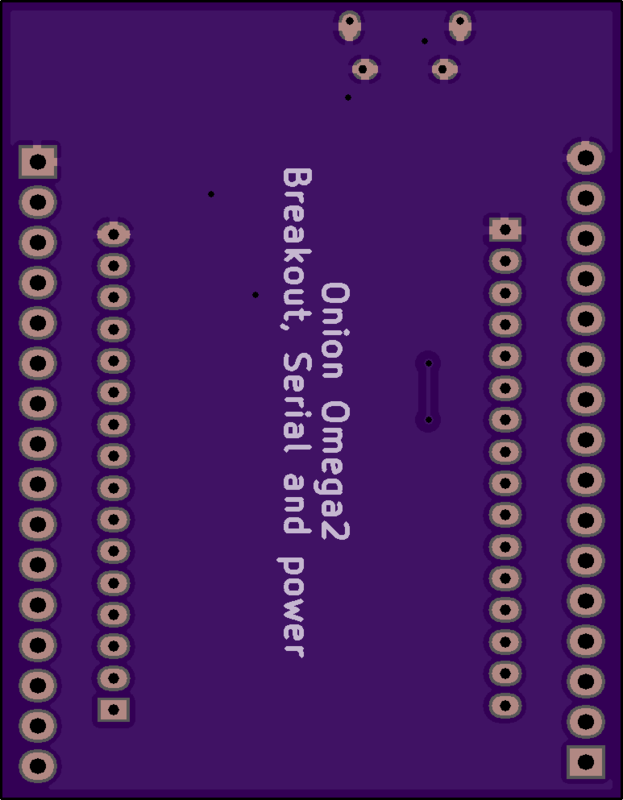 Works like a charm: http://jcprojects.tumblr.com/post/155454738769/my-omega2-onion-shield-using-a-ams1117-for-33v With Ebay components and OSH park PCB’s, these should cost maybe $6.50 in parts.